If you want to succeed in a competitive platform, you must have the finest brand experience for your customers and clients. No matter the business is small, medium or big giants or if you are interested for a startup, your online presence will be of utmost importance for the growth of your business.A perfectly designed and developed website is the spinal cord of almost every business. 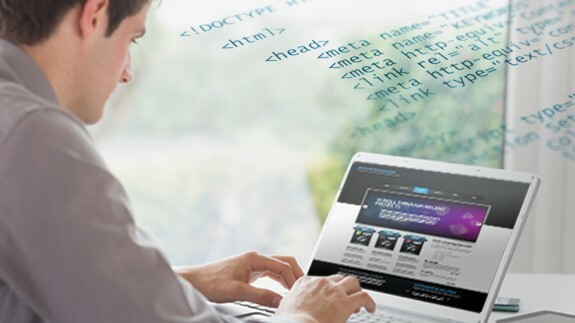 Therefore, if you really want to make your website a great asset to your business, choosing a professional web design & development Companyis the right way to go. How to pick out the best Web Design & Development company for your business? •First & Foremost-Set your Budget- Knowing your business needs and your specific budget will be the most helpful thing. Of course, you shouldn’t go to the Company which offers outdated web design& development for a lower price, but look for one that will give you an affordable as well as an adequate solution comprised of quality and good pricing. The true beauty of web design is that it should be updated. •Find a renowned Web Design & Development Agency-After you have determined what kind of a website design you want and after you have drawn the exact budget, you can start searching for the renowned and one of the best web design agencies for you.If you want your best future website that will stand out from others in terms of innovative design and creativity then follow this trend. •Research Website Design & Development Experience- Creating a website using responsive design and development is standard these days, so choosing the right agency partner from the list of best web design companies that has demonstrated experience is critical. The expert designers and developer’s ability to work with a handful of different platforms gives flexibility for the business and an additional spark. •Companies Testimonials can help- Before you finalize a web design & development agency asks for testimonials of the specific Company. You could meet up with some of their present and previous clients and analyze their performance record. A Company out of best web design companies have nothing to hide and are transparent to straightaway gives away the references. This is the best step to analyze whether you are going to work with people who will stay true to their word no. •Consider the team of Experts-Make sure that the web design & development company that you are considering has been around an experienced and professional team and is not a fresh start up firm. Additionally, take a look at recognition in your field/ industry that an agency has received as those help provide an additional validation of the Company’s quality of work. •Reviews & Referrals of the Companies- Reading reviews on Google +, Yelp and Facebook help to give insight to a Web development company’s customer service as well as their process and project delivery. Testimonials on a site might be biased to the business, but clients or third party reviews can show both the bad and good section of the Companies. •Keep track of your Competition-Some Companies monitor their competition, while other don’t. The former are more successful than others, and this is even a proven fact. By monitoring, we do not mean copycat or something like that. If you find that your competition has certain functionalities on their site and they are successful, it would be great if you would follow their lead and do the same. Additionally, plan everything out in advance, or find the best option to do the web design & development process for you. Invest the time in communicating with a few different agencies to be sure you’re getting a trustworthy partner. A quality website can win the hearts of targeted audience and only experienced and reliable Web Design Company can make such achievements.